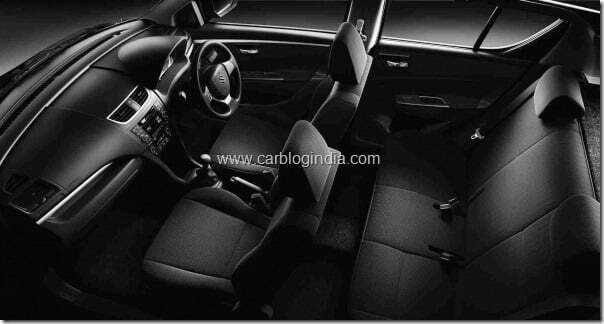 In out car comparison series on Car Blog India, we are comparing the Maruti Swift 2011 new model Diesel variant with the Hyundai i20 Diesel variant. Hyundai i20 facelift is expected later in 2011 and has already been spied once under heavy camouflage. In this article, we will see the battle between two eligible diesel premium hatchbacks of India. We have separately compared the petrol variants here – Maruti Swift 2011 Petrol Vs Hyundai i20 Petrol. Maruti has improved the visual appeal of new Maruti Swift greatly by providing a more attractive fascia, better looking bumpers, better rear appearance with new tail lamps which wrap around beautifully towards the sides. The new alloy wheels of Swift 2011 also look much better than the older ones. The older model of Swift did not come up to the mark with i20. Hyundai i20 has been around for a long time now and a fluidic treatment of the same is expected soon, but even without that, Hyundai i20 is no less beautiful and attractive car. With a more sculpted design and sporty looks, Hyundai i20 is a head turner hatch. I terms of looks, I think Hyundai i20, besides being around for long, still looks more attractive than the Maruti Swift. If I have to pick one purely based on looks, I would go for the i20. Maruti Swift 2011 has recovered greatly from the previous image of old Maruti Swift of being too plain and boring. With new touches to the dashboard, steering wheel, improvement in central console, AC vents, plastic quality and placement of control, Maruti Swift has finally evolved as a car with pleasing interiors. Hyundai i20 on the other hand is a step above in terms of interiors quality, finish and gadgetry. The dual tone beige brown interiors of i20 are more pleasing, soothing to eyes and give a much premium feel. The central console, seat padding, rear seat comfort and overall console is one of the best in this price segment. Also the i20 is larger, more spacious and has longer wheelbase than the Swift 2011. Considering the engine specs, the i20 looks more lucrative with higher power and torque ratings and also delivers higher torque at lower RPM. Maruti Swift is a leading hatchback in India for a long time for its top notch handling in its class and Swift 2011 also inherits its handling attributes from the old model and improves further on them. Handling and performance is one area where Swift steals the deal. Although the suspension may feel bit stiff and less comfortable, but the stiff chassis and suspension provides for a good control and precise handling. There has been slight downward tuning of the engine at mid-range RPM levels to make it deliver more fuel economy, but still it’s a good car in terms of handling and performance. Hyundai i20 on the other hand has a comparatively softer suspension and does not do too well while cornering at higher speeds. In a trade off between comfort and handling, the i20 is tuned more on the comfort side. It does appeal better to people seeking a comfortable ride, while to the spirited drivers who want high performance, it may disappoint some of the sporty drivers. Comparing the prices and value for money factor of the Swift and i20, we can compare the Vdi of Swift with Era model of i20 diesel as they fall in a close price bracket with i20 Era Diesel being about Rs. 9,000 costlier. The Era model does lack gadgetry and features as it’s the base model compared to the Vdi which is mid variant. The Vdi comes with body colored door handles and outside rear view mirrors. Also the outside mirrors in Vdi are electrically adjustable and come loaded with turn indicators mounted on them. So if you are looking at a base version, Vdi seems to be more lucrative. However, both Vdi and Era lack the integrated Audio system. Comparing the top end variant of Swift Zdi with closely priced Sportz Option variant, it lacks ABS but does have Airbags. It comes with keyless entry, front and rear fog lamps, with body coloured door handles and outside rear view mirrors. Also the ORVMs have turn indicators on them. Also it comes with alloy wheels, leather wrapped steering and other premium interior features like chrome finish gear knob, metallic insert in steering wheel, all four power windows with illuminated switches etc. Some of the unique features include chilled glove box, tilt and telescopic steering etc. Comparing it with the Swift Zdi, the biggest feature which swift offers is ABS which is missing from i20 Sports. For ABS and some additional premium features, you will have to shell out about Rs. 55,000 more to upgrade to i20 Asta which makes it a premium priced car. If looks, comfort and luxury are your top priority, i20 is the car for you, but you will have to pay extra to get all the safety features with the Asta variant which is priced at Rs. 6.75 Lakhs. If you want to opt out of these safety features and want only luxury (which we won’t suggest), then i20 Magna does have a good balance of features with good value for your money. If sportiness, handling and spirited driving is your priority, Maruti Swift is the car you should opt for. We recommend that you should get a fully loaded variant, not because of gadgetry, but because of the safety features which it offers, which are even more important for spirited drives, as your safety is priceless.